Oh my gosh I literally squealed when I saw this project from Laura of Finding Home. 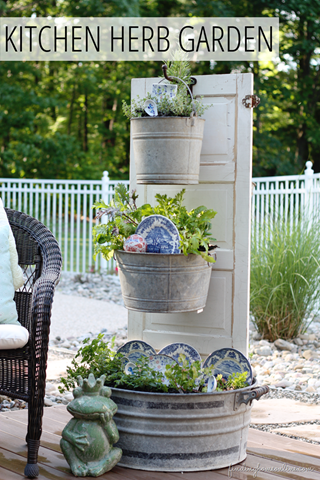 She thought completely out of the box with this vertical herb garden made from an old door, galvanized bins and some serving ware for decorations. And I bet it smells delightful. This is a piece of art and quite brilliant..and functional!